Wheel balancers are an essential tool for automotive shops of all sizes. They pay dividends over time and make sure you keep up with fast-paced customer demand. Read on to see the top five reasons to put a quality wheel balancer in your shop. A wheel balancer is an essential tool to every automotive shop. With over 250 million vehicles driving on American roads, multiply that by four (4 wheels on a car) and you get well over 1 billion wheels that need balancing. 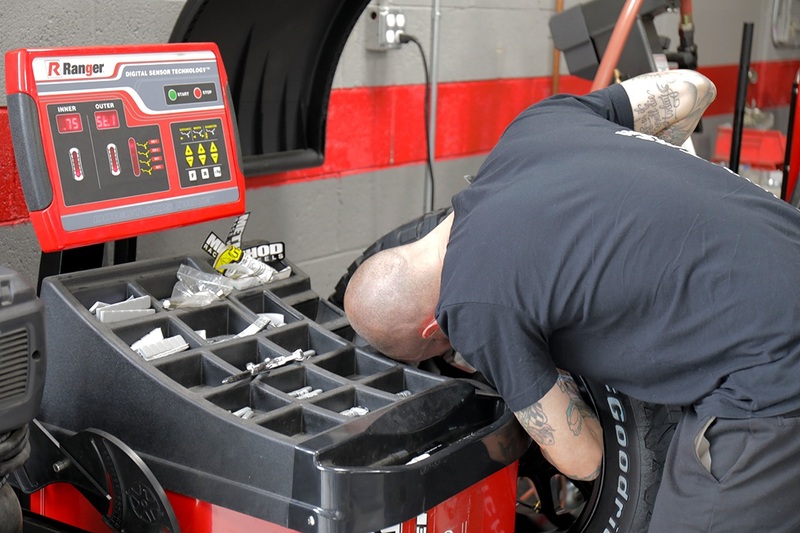 Tires should generally be rotated every 5,000 to 7,000 miles, which is also a perfect time to bust out your shop’s wheel balancer and prevent high-speed wheel vibrations. 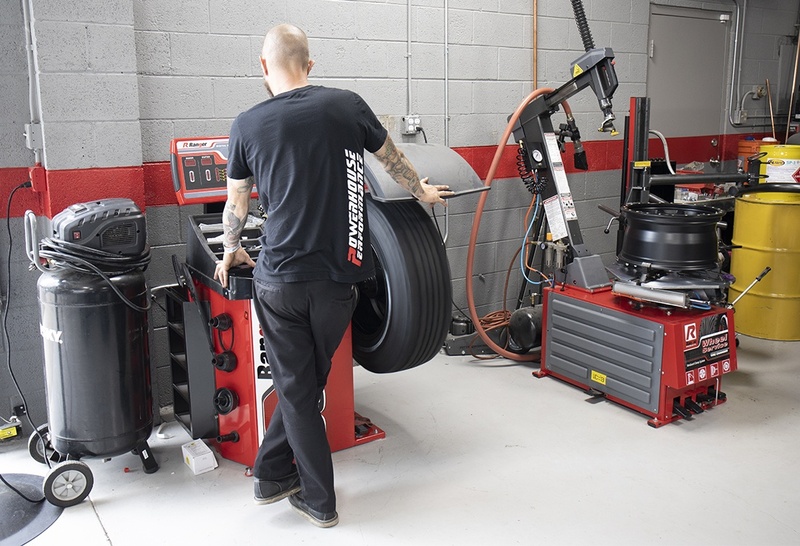 Being able to provide full service to all your customers—especially those who return time and time again—means you’ll need a wheel balancer to keep up with demand. If you’re doing suspension work, tire changes, detailing or any job that includes wheel removal, a wheel balancer is an excellent way to increase business at your shop. Just ask customers, “Wouldn’t it be great if we balanced your wheels for you to keep you safer on the road?” They’ll probably say yes! A wheel balancer increases your potential to perform all kinds of tire/wheel/suspension work; after all, responsible car owners will be returning to your shop every 3 months or so, which means that wheel balancer is going to keep you extra busy all year long. It’s a fact: cars need gas, electricity and functional wheels. (They need a lot more than that, but we’re making a point.) A wheel balancer is the only way to ensure wheels are spinning properly on the road. Potholes, minor accidents, hard brushes with the curb, etc. can knock off your wheel weights without you knowing it. Unbalanced wheels tend to vibrate as vehicles approach and exceed 55 mph, and unlike the Beach Boys song, these aren’t good vibrations. A wheel balancer prevents troublesome vibrations that cause wear on tires and suspension. If your shop has a wheel balancer handy, the most common cause of wheel vibrations—unbalanced tires—can be fixed in minutes. Wheel balancers can run a few thousand dollars for a good one, but considering how commonly they’re used, with customers paying $10 per wheel or $40 per vehicle for total wheel balancing, a wheel balancer adds easy profit to your bottom line. In addition to being commonly used, wheel balancers add one more piece of equipment to your shop that others might not have. Plus, other than small, inexpensive wheel weights, there is virtually zero parts cost involved in balancing a wheel. If your shop is without at least one wheel balancer, you’re likely sending your business down the road and sacrificing thousands in profit. Adding equipment and services can mean adding time to each vehicle you operate on, slowing your turnaround and hurting your bottom line. Not so with a wheel balancer! 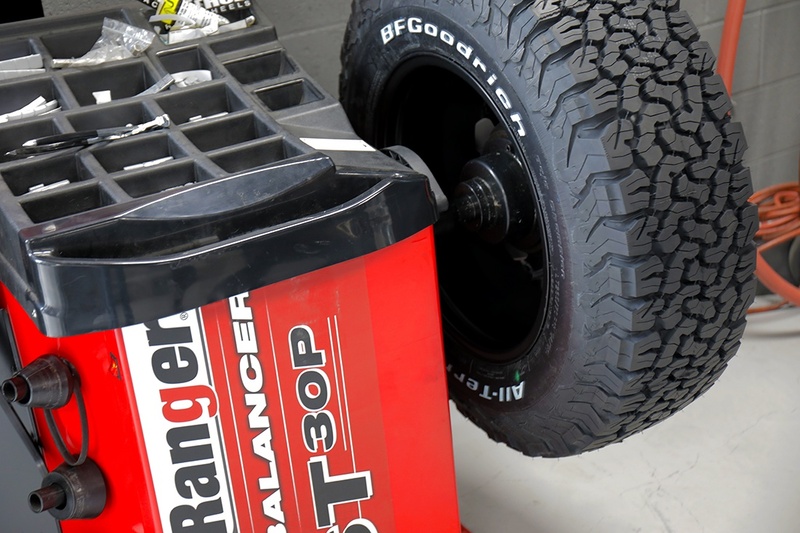 It only takes a couple of minutes for a trained technician to mount a wheel and tire on the wheel balancer, take the digital readings (if it’s a dynamic wheel balancer, which most are these days) and add wheel weights as necessary. There’s no reason for the addition of a wheel balancer in your shop to cut into your profits. If anything, wheel balancers save both you and your customers time and create more business opportunities down the road. Speaking of business opportunities, even in a rough economy, there is no shortage of need in the service sector. Customers are going to be much pickier when times are tough, however, so the question is simply: who will get their business? Over 1/4 of all customers who express dissatisfaction with their body shop will do so because they have to return due to problems that should have been addressed but went overlooked. If you don’t use a wheel balancer because you simply don’t have one, your one-time customer is taking his or her business as far away from you and your outdated tools as possible. If you lack a wheel balancer and you miss crucial repairs as a result, be prepared for a dissatisfied customer base.